The Lake Ray Roberts Rotary Club has been honoring local First Responders in our area this year. The first responders are selected by their departments. 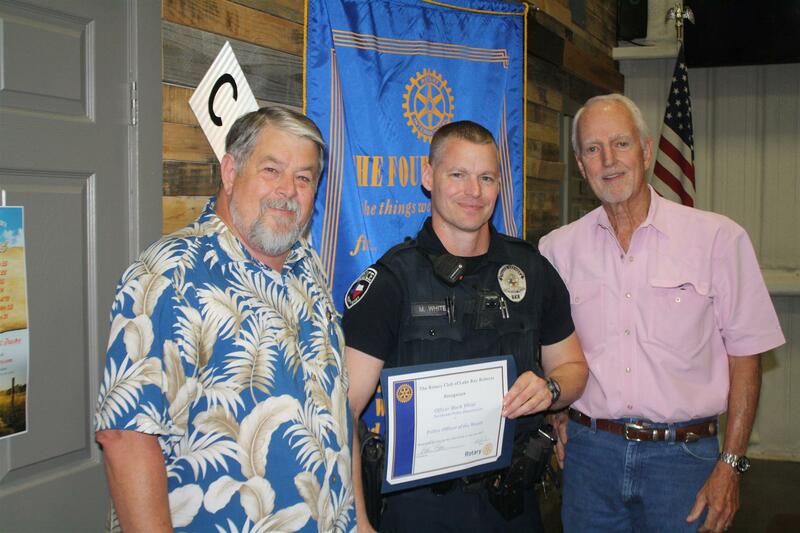 The Lake Ray Roberts Rotary Club honored Mark White as Officer of the Month. Mark is with the Northeast Police Department. Congratulations and thank you for all you do for our local communities!